The European Court of Human Rights has held that five men, including the preacher Abu Hamza, can be extradited from the UK to the US to face trial. The five men had argued that their article 3 rights would be violated if they were extradited and convicted. The applicants are wanted for trial in the US and subject to extradition requests on the basis of allegations relating to terrorism, including multiple murder and conspiracy to kidnap. The decision attracted widespread comment. 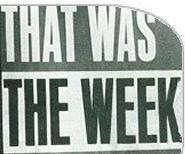 David Cameron praised the decision. The Guardian editorial stated that “This ruling matters for two reasons . . . Tuesday’s judgment was a powerful practical corrective to the shameless assumption that judges, and the European court judges in particular, do not inhabit the real world . . . The second reason is because of the substantive importance of what the judges actually said in their rulings. The judges’ unanimous ruling was that these (the applicants’ article 3) rights were not infringed in the American system.” Joshua Rozenberg was “unsurprised” by the judgment. The ruling has also prompted interest in the conditions in ADX Florence, where the applicants are likely to be imprisoned if convicted. The high security prison has been described as a “clean version of hell”. The Legal Education and Training Review (LETR) has issued a call for feedback on radical proposals for reform, including the replacement of the training contract with a more flexible period of ‘supervised practice’. The review has published the first of three consultation papers to canvas views on potential reforms of the profession’s current training and education framework. Proposals outlined in the paper include the abolition of the concept of a qualifying law degree and common training for budding lawyers. The consultation is now open for discussion by key stakeholders and the general public, with a deadline for responses to feed into a follow-on paper set for 10 May. The legal profession’s culture of ‘casual sexism’ and high levels of drinking has led women and ethnic minority solicitors to adopt special strategies to overcome institutional discrimination in law firms, researchers funded by the Legal Services Board told a conference last week. Some Asian women solicitors choose to wear western clothes to the office rather than risk looking ‘too ethnic’, and it was ‘perfectly acceptable’ for older barristers to ‘hit on’ women barristers, it was claimed. The claims appear in Legal Services Board (LSB) research, originally published in 2010, and was presented at the British Sociological Association’s annual conference in Leeds. Researchers found that one strategy adopted by women and ethnic minority lawyers was to assimilate into the ‘dominant, white, masculine’ culture, by ‘taking up the hobbies, customs and dress of the dominant work group’ or by compromising on their values and their aspirations for family life. A drink driving case was abandoned after a magistrate appeared to fall asleep while the defence solicitor was speaking. Paul Flynn, the chairman of the Bench, seemed to close his eyes during the sentencing of a drink-driver. The case was reheard with three new magistrates after defence solicitor Caroline King made a complaint. 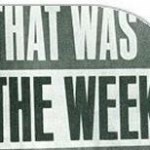 Leave a reply on "The Week That Was"